I ordered this for the Spring having already tried Gardenia which I really like. 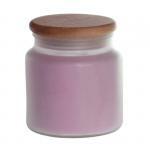 I am not that fond of the Lilac scent and would not reorder myself but others who like Lilac might like this. Such a relaxing scent !